Rhabdoviruses and Filoviruses are single-stranded, non-segmented, negative-strand RNA viruses, many of which cause significant morbidity and mortality in humans and animals. Certain members of these virus families have been used as excellent model systems to understand the molecular biology of replication, host responses to infections, and viral countermeasures. Rhabdoviruses have also been used as vaccine vectors as well as oncolytic agents.Studies on Filoviruses have now provided significant insights into how they enter susceptible cells, replicate and cause disease, and also how they evade the host's immune mechanisms. This book addresses the most recent findings on Rhabdovirus and Filovirus structure, replication mechanisms, host cell responses to virus infections and viral countermeasures. 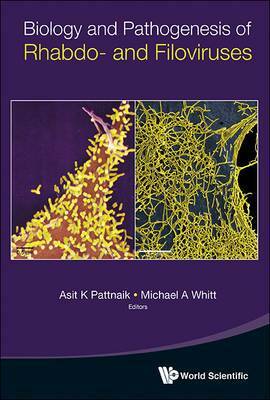 Chapters on emerging viruses as well as approaches for therapeutic interventions have also been included.This book represents an authoritative text that brings together the most recent advances on the cellular and molecular biology of Rhabdo- and Filoviruses, including mechanisms of pathogenesis.